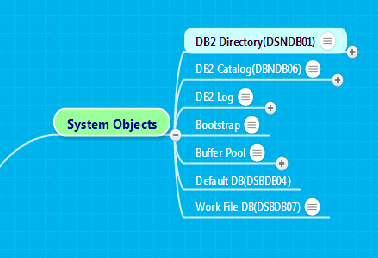 This is a much discussed topic among the COBOL programmers.We can identify the calls by seeing the 'CALL' structure.Lets see what is the difference between static and dynamic call and other information. Static call implies that the objects modules(of called and calling) are bound together before they use each other.This bonding remains the same until one of the program gets changed and the whole set is compiled/linked again. In case of static call, we refer to the called program name directly in the call statement. In case of dynamic Call, we call one working-storage variable which is populated with the called program name at run time dynamically. Here WS-PGM is the Working Storage item. In Procedure Division we are moving the called program name 'PGM1' to WS-PGM and then calling it. When to go for Static and Dynamic call ? Taking the decision to call statically or dynamically is upto the programmer.Generally we consider the size of the program and decide.If the size of the called program is small (i mean, very few lines of code and non complex functions )then we can go for static call, otherwise dynamic call will be better.Both have its positive and negative points. If we have the main program PGM-A and it calls two sub programs statically(pgm-b &pgm-c), we will have only 1 load module for all the three.Load modules of pgm-b and pgm-c will be linked edited into the load module of PGM-A making the size of the load bigger. If any changes are made to called program, then all the programs must be compiled/linkd. As the name suggests, the program is called dynamically.The load module of the called program will exists separately in the load module library. Thus here if PGM-A calls pgm-b and pgm-c, we will have 3 load modules our load library. The main module does not take up unnecessary space. Since these are stand alone programs, we can compile/link respective programs without touching all the programs and main program. Since it executes with program call resolution, the call is a bit slow than static all.